Two outstanding performances makes this intriguing little drama one to watch. 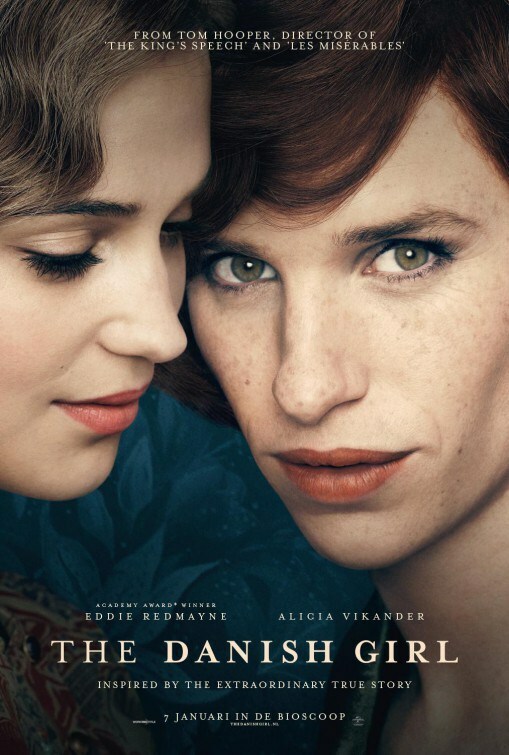 A fictitious love story inspired by the lives of Danish artists Lili Elbe (Eddie Redmayne) and Gerda Wegener (Alicia Vikander). Lili and Gerda’s marriage and work evolve as they navigate Lili’s groundbreaking journey as a transgender pioneer. I never expected The Danish Girl to be my cup of tea. The content at first glance didn’t really appeal to me BUT what did was the cast. I couldn’t pick a more perfect combination. Redmayne and Vikander were brilliant. They had fantastic chemistry and made an endearing couple. You really did care for them. We join the married couple of six years in 1920s Copenhagen. Happy and in love. The slow burning pace allowed the transformation to happen more naturally. We follow Vikander’s Gerda as she struggles to make a career as a painter. Desperate to break free from the shadow of her renowned husband. A simple problem with a model being late and a quick pose for a portrait and we slowly unearth something in the bashful and timid Einar Wegener. The dresses. The heels. The stockings. Appealing to a deeper part of him. Embraced as a little joke; the pair take it a step further. Desperate NOT to be seen at a party function, Einar creates the alter ego Lili. The film chugged along at an easygoing pace as the pair messed around with the dresses and wigs. BUT while Gerda saw it as a little bit of fun, we notice a change in Einar. Director Tom Hooper (The King’s Speech) and writer Lucinda Coxon got the perfect balance. A chance encounter with Ben Whishaw’s (Perfume: The Story of a Murderer) Henrik and Redmayne’s Lili could easily have played out like something out of Some Like It Hot. BUT it wasn’t long before Lili overstayed her welcome. Redmayne proved once again why he deserved that Oscar gold last year. An excellent performance. The ego of Lili awoke something that had always been inside of Einar. It was an interesting insight into the transgender psyche. Einar’s treatment and transformation was something else. His treatment in the 20s was baffling. I should have seen it coming BUT it still made for engaging viewing. Desperate to seek help for Gerda’s sake and to find answers, Einar faces charges of perversion, homosexuality and even has to evade capture from being committed to a mental hospital after being diagnosed a schizophrenic. The man even took radiation therapy to correct the “chemical imbalance”. As much as you could feel for Einar’s inner turmoil and tried to understand what he was going through, you also felt for Gerda who faced losing the very person she fell in love with. Vikander was superb. A performance worthy of that BAFTA nod. I wish more was made out of the supporting cast. Matthias Schoenaerts (Far From The Madding Crowd) did well with the small supporting role of Einar’s boyhood chum and even Amber Heard (The Rum Diary) managed to make a memorable impression in her frightfully miniscule role/cameo as Gerda’s friend Ulla. Regular Hooper stalwart Danny Cohen’s cinematography delivered yet again. Bringing life and colour to a rather dull looking Denmark. However, it wasn’t all perfect. For all the drama, I was left wanting. The pace did test as the film passed the 90 minute marker. Two hours was too much. As the film drew to a close and Einar considered surgery, things picked up. BUT it seemed to rush after such a long build up and end a little too abruptly for my liking. Despite a lumbering pace, two sterling turns helped make this engaging examination one to watch. An engaging and brilliantly acted drama. 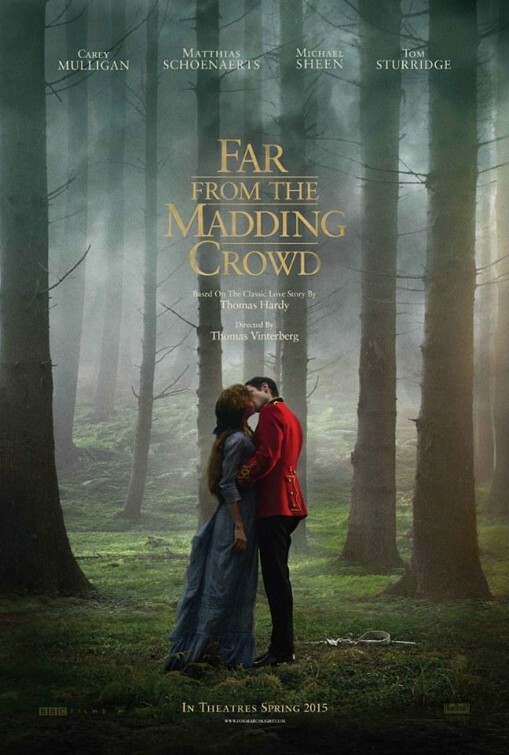 In Victorian England, the independent and headstrong Bathsheba Everdene (Carey Mulligan) attracts three very different suitors: Gabriel Oak (Matthias Schoenaerts), a sheep farmer; Frank Troy (Tom Strurridge), a reckless Sergeant; and William Boldwood (Michael Sheen) a prosperous and mature bachelor. 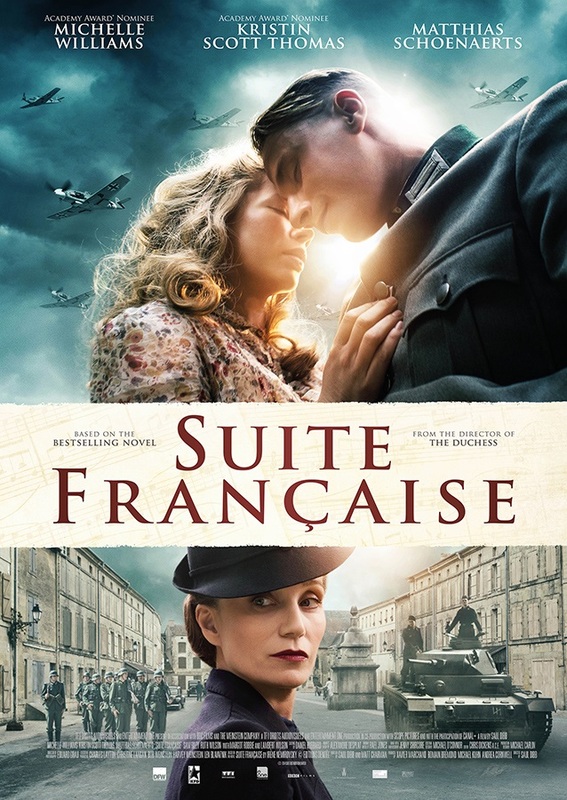 I’m not normally one for period dramas but somehow this one managed to keep my attention. I haven’t read the classic novel nor have I seen the 1967 feature with Julie Christie so I can’t make comparisons. Carey Mulligan was superb as Bathsheba (Such a strange name). Perfectly cast as the strong willed heroine. A different kind of beauty but still a pretty young lady. A woman desperate not to be another man’s property. Defying type and “social standing” to be her own person. The opening act may have been slow burning but I was happy to watch the blossoming romance between Gabriel and Bathsheba. Matthias Schoenarts delivered a very good performance. I know people were sceptical about having a Belgian as the farm hand in something that should have been a quintessentially English affair but I thought he was charismatic and had fantastic chemistry with Mulligan. 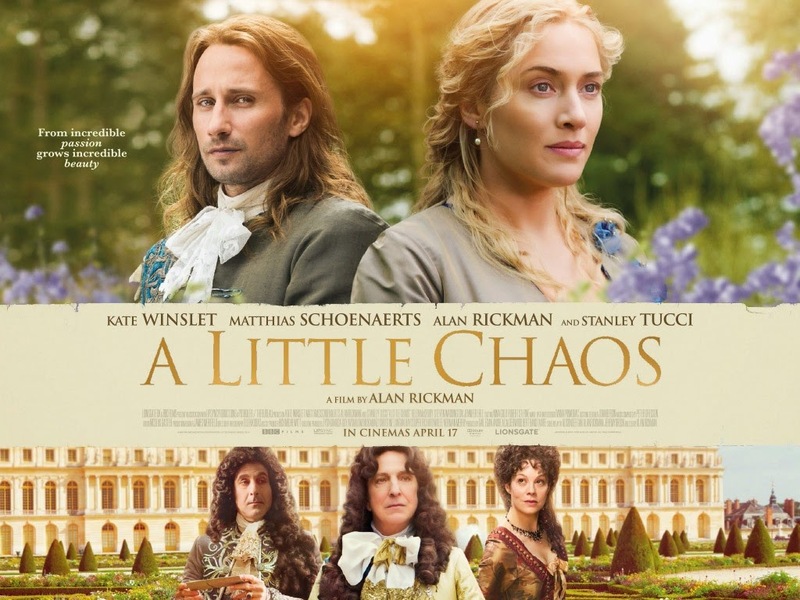 By comparison, his performance in A Little Chaos was quite wooden. As well as dealing with the ever-growing suitors, Bathsheba inherits her uncle’s farm and is determined to restore the place to its former glories. Her dealings in the markets and with her staff made for good viewing. Resourceful and resilient, but vulnerable and anxious. Sheen delivered a fine turn as the strange and brooding Mr Boldwood. Hell, we even got a little sing song between him and Mulligan. I knew Mulligan could sing after her turn in Shame but it was certainly unexpected from the Sheenster. Tom Sturridge (The Boat That Rocked) played the slick solider Frank Troy well. A slimy charmster if ever there was one. I couldn’t help but question why Bathsheba would be interested in such a tool. Troy was certainly enigmatic and a sweet talker but his behaviour was so volatile. Their forest fling was a strange encounter. His OTT sword swinging foreplay was a little comical for me. It killed the brewing tension between them. BUT I understood that the action was supposed to display a sense of danger and excitement that the other suitors weren’t offering. Is that all they do in the countryside? Shear sheep and marriage, apparently. It was obvious that the proposals would happen. But the timing was certainly unexpected. Boldwood’s proposal was too sudden. Sparked by a Valentine card that Bathsheba had sent as a joke. His sudden infatuation and obsession with her seemed a little disjointed. Ridiculously extravagant in one exchange, then nothing the next. Yet somehow you still felt sorry for the middle aged extrovert. The cast couldn’t be faltered. Their performances were flawless and I actually cared what happened to the characters. Each suitor offering something different for Bathsheba. Security, love and danger. But all to a woman who never promised anything and already expressed that she did not want to be “tamed”. Every time I felt my interest dipping or the pace lulling, there would be a new development or twist that kept me going. Not that my interest dipped that much, to be honest. A merciless sheepdog with a flock certainly delivered a unexpected cliffhanger. Charlotte Bruus Christensen’s cinematography was superb. Despite its beautifully shot idyllic backdrop, horror and grief can still strike the countryside. The only critique I can make about the casting was Juno Temple. She didn’t make as much of an impact as I expected. The role was still important to the story line but anyone could have played her. The ending may have been a little predictable but I still came out smiling and impressed. Don’t say that often enough. It was easygoing, engaging and wonderfully acted. 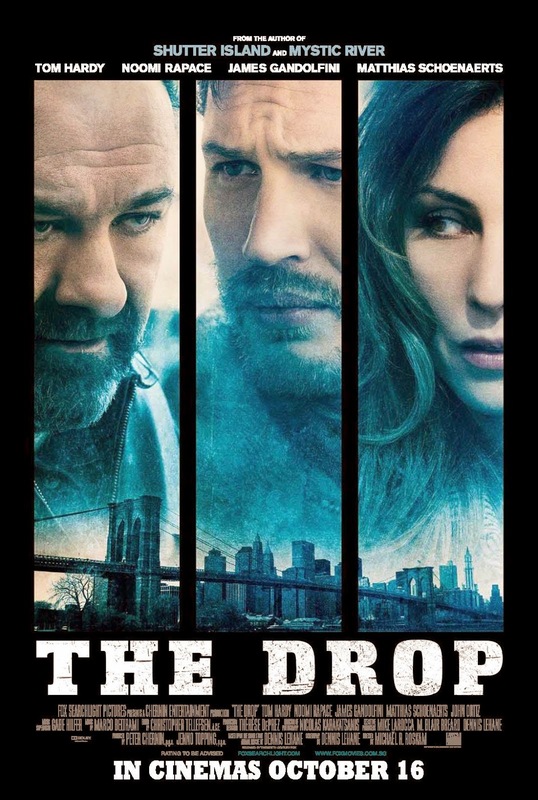 One of the better films out there.